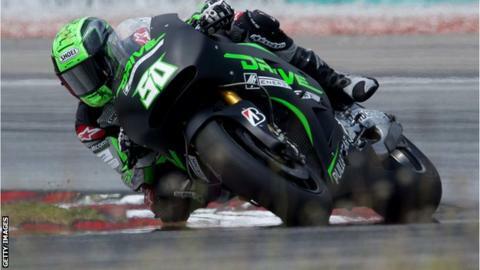 Eugene Laverty finished back in 19th place in the latest round of the MotoGP Championship at Misano in Italy. Laverty failed to make it into the points on his Aspar Honda after a race in which the weather conditions wreaked havoc at the Marco Simoncelli Circuit. The Toomebridge rider has picked up just 12 points in his first season in the class, with a best finish of 12th in Spain. Marc Marquez won the race, with series leader Valentino Rossi fifth. Marquez came out on top after a rollercoaster race, which saw British pair Bradley Smith and Scott Redding finish on the podium. Rossi stretched his lead to 23 points after Jorge Lorenzo fell six laps from the finish.